There’s been lots to going on in recent weeks, most notably, just in time for what is shaping up to be a long cold winter we have (cue trumpeting) central heating! The radiators are toasty warm, but oh…so ugly. Ronnie has banned covers (cue wittering about reduced efficiency) and assures me I’ll stop noticing them after a while. After months of bare brick, I’d got used to lovely freshly plastered bare walls and the radiators just..well..interupt my view with their big metal whiteness. 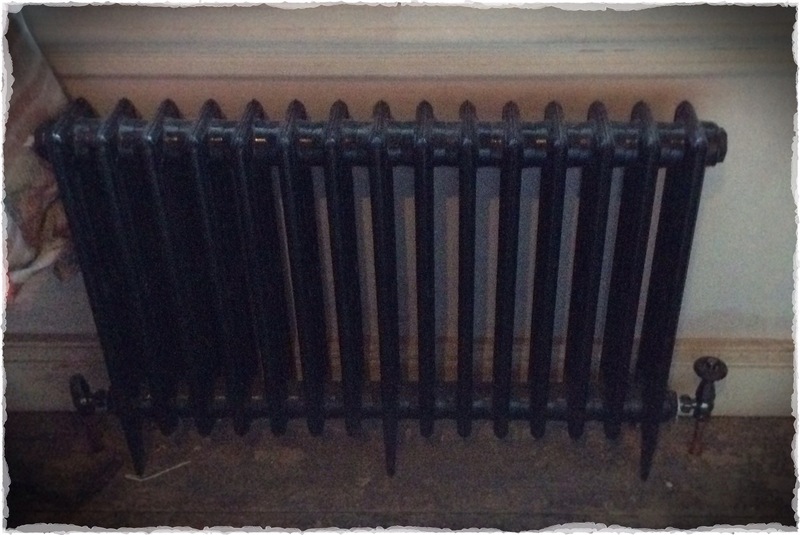 We just had one period style radiator…I love it. It resides in the bedroom, which is starting to look fractionally less car boot and more boutique…though from this photo, you may be forgiven for thinking otherwise! 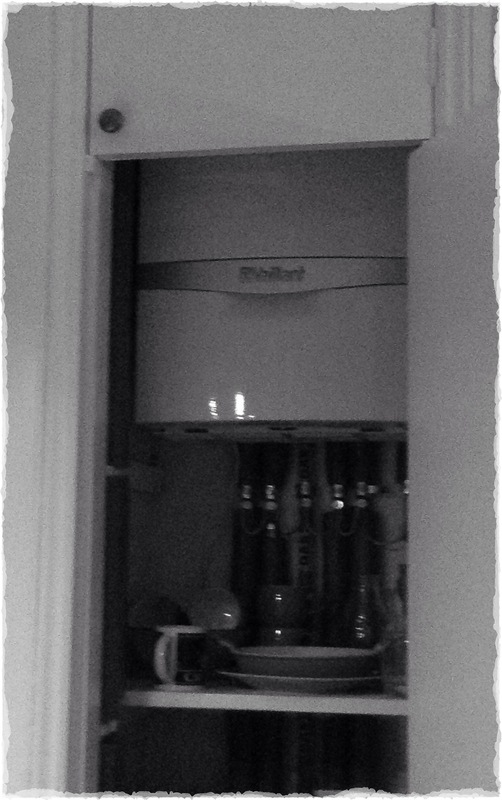 The (super efficient condensing) boiler kicks out loads of (slightly too) hot water and fits nicely into the kitchen cupboard meaning we’ve not lost much storage AND we’ve gained back the bathroom cupboard where the water tank used to reside. 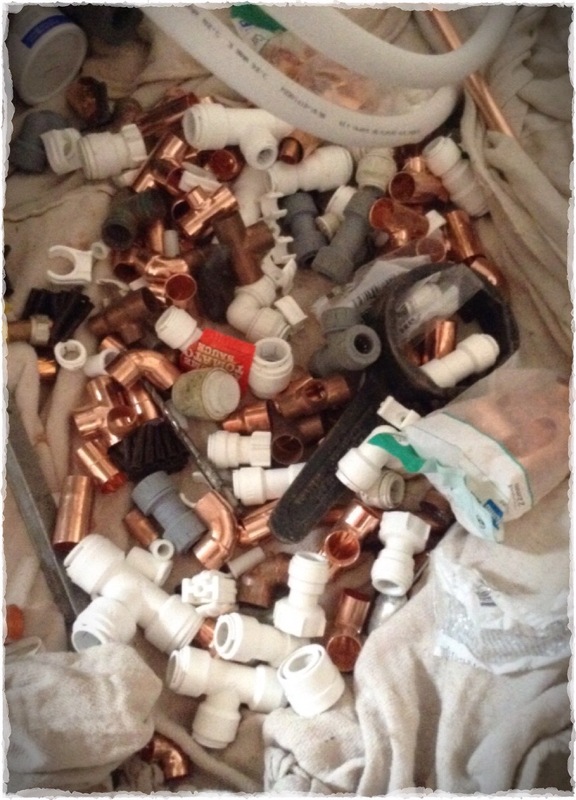 We’ve lagged all the water pipes to help insulation (thrifty!) though we’ll need to do a bit more boxing in around the pipes, it’s worked out ok.
We need the carpenter to box in the pipes near the kitchen window taking hot water from the boiler to the back of the house. We couldn’t go through the ceiling due to the steel joists. Where sensibly possible, we’ve avoided any visible pipework, but there are a couple of compromises we’ve had to make, the Victorians were damn fine engineers, but their architecture neglects access for future generations heating requirements. The main problems were the lounge, library and hall as we didn’t want any pipes running upstairs in these rooms so we’ve run a vertical down the porch. We also decided to run the gas pipe externally, it was either that or excavate a channel through the kitchen floor…no thanks. 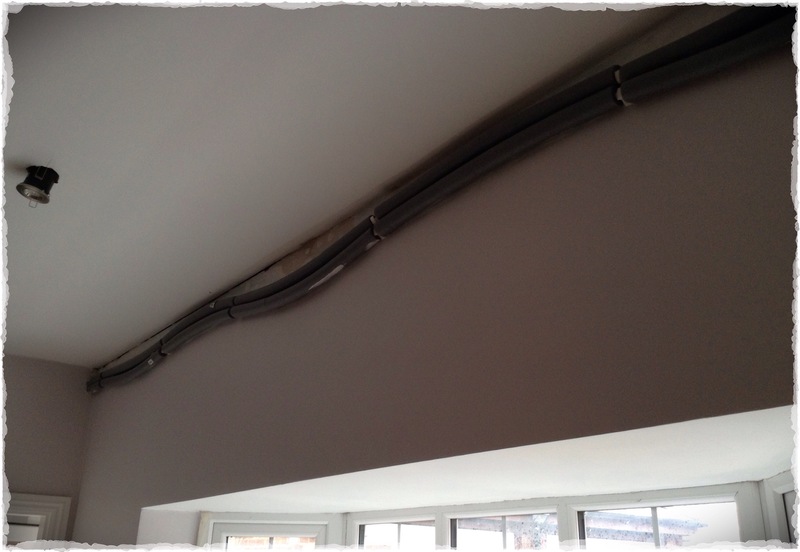 This entry was posted in Heating Installation and tagged btu, central heating, energy efficiency, gas, hot water, pipe by ladylansdowne. Bookmark the permalink.